KABUL: Prospects have risen for negotiations between the Taliban and the United States after Afghan President Ashraf Ghani called a ceasefire and allowed militants to roam into cities in a gamble to encourage peace talks. 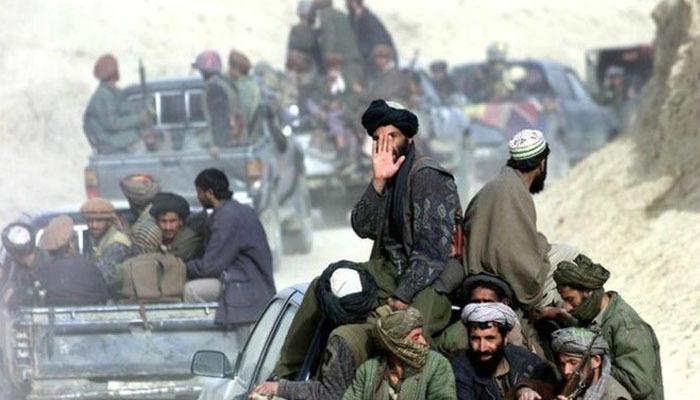 The Taliban, ousted from power in 2001 by US-led troops, insist that any negotiations with what it calls the “puppet” Afghan government on a peace plan can begin only after talks with the United States about withdrawing foreign forces. Analysts and Western diplomats said Ghani’s offer to hold unconditional peace talks had set the stage for US officials to open backchannel negotiations with the Taliban, despite Washington’s policy that peace talks be Afghan-led. “It is now for the US to cut through this blockade,” he said, although that would be a departure from US policy that talks to end the 17-year-old war must be wholly Afghan-led. US Secretary of State Mike Pompeo appeared ready to tweak the policy when he welcomed Ghani’s 10-day extension of a ceasefire that is currently due to end on Wednesday. The Taliban said its ceasefire ended on Sunday. A senior US official, speaking on the condition of anonymity before the start of the ceasefire, however said there were a number of issues that made direct talks between the Taliban and the United States unlikely in the short-term. The official said there was a substantial gap in knowledge about the Taliban – for instance as to who had the authority to negotiate on the their behalf. “There is not enough intelligence or resources on this issue,” the official said. The Taliban, in a statement marking the end of their ceasefire on Sunday, said the organisation was unified and called on “the invading American party” to “sit directly for dialogue with the Islamic Emirate to find a solution for the ongoing imbroglio”. A senior diplomat with knowledge of the negotiations leading to the ceasefire estimated the chances of eventual talks between the Taliban and the Afghan government at “50-50”. “The Taliban want to talk to the US directly on withdrawal (of foreign forces) because they do not want to share the credit of withdrawal with the government,” the official said. And while Washington has long resisted direct talks with Taliban, the official said that recent developments indicate “the US now seems less and less averse to it”. In August, US President Donald Trump unveiled a more hawkish military approach to Afghanistan, including a surge in air strikes. Afghan security forces say the impact has been significant, but the Taliban roam huge areas of the country and, with foreign troop levels of about 15,600, down from 140,000 in 2014, there appears little hope of outright victory. “Now we can say that our president is making an absolute honest attempt” for peace, said Anwar-ul-Haq Ahadi, the chairman of the outspoken New National Front of Afghanistan.